Was Everyman using super powers he doesn't have? 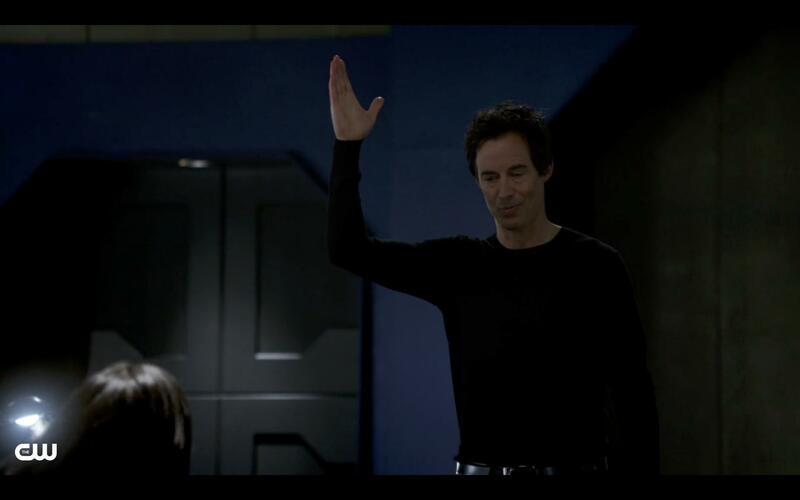 When Hannibal Bates, also known as Everyman was in the late part of the episode pretending to be Doctor Wells, he was vibrating his hand like he was also a speedster. But earlier in this series, it was mentioned that he does not gain the power from the metahuman he touches. So how was he vibrating his hand? Is this Everyman's natural behavior in the comics, or was this a mistake in the episode? Not the answer you're looking for? Browse other questions tagged dc arrowverse the-flash-2014 or ask your own question. Does Superman have super powers outside of our solar system? Did Barry actually lose his powers? Can The Flash turn off his powers? How did The Flash originally obtain Super Speed? How did Everyman know what to do in this scenario? How did Hartley Rathaway know about Wells being The Reverse Flash? Why did Wally have his powers even after Savitar died? Why were Vandal Savage and the Flash due for a reckoning?